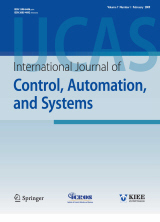 Abstract : "For the on-orbit reconfiguration problem of spacecraft attitude control systems under multi-mission constraints, the idea of a reinforcement-learning algorithm is adopted, and an adaptive dynamic programming algorithm for on-orbit reconfiguration decision-making that is based on a dual optimization index is proposed. Two optimization objectives, total mission reward and total control cost (energy consumption), are defined to obtain the optimal reconfiguration policy of the spacecraft attitude control system reconfiguration, and the on-orbit reconfiguration model for multi-mission constraints is established. Then, based on the Bellman optimality principle, the optimal reconfiguration policy formulated by the discrete HJB equation is obtained. Since the HJB equation is difficult to solve accurately, a method of bi-objective adaptive dynamic programming is proposed to obtain the optimal reconfiguration policy. This method constructs a mission network and an energy network. The method then adopts a Q-learning-based algorithm to train the networks to estimate the values of total mission reward and total control cost to achieve the on-orbit optimal reconfiguration decision under multi-mission constraints. Simulation results for different cases demonstrate the validity and rationality of the proposed method"
Keyword : "Adaptive dynamic programming, attitude control system, multi-mission constraints, on-orbit reconfiguration, reinforcement learning."